A comic series exploring ideas of anarchism in contemporary life. It’s been a busy time for me recently for lots of reasons, but most importantly, I’ve been gadding about in the North of England at a couple of events. Firstly The Lakes Comic Art Festival! I had a great couple of days up in Kendal, it was really nice to meet and mingle with other comic creators and the atmosphere was very welcoming. I certainly appreciated the volunteers who came round offering coffee and fruit! It’s always good to chat to people about the comic and something I’m always struck by is how people share there own stories of dissent with me. With a story like mine, i.e. not full of superheroes or set in imagined lands, it seems to garner interest from people who have either had brushes with the Government on protests or live counter-culture lifestyles. It’s great to meet you and your life stories have definitely had an impact on the direction I’m taking with the story. I mention this as part of The Lake festival because the Comic Clock Tower (where I was) had free entry. This meant that a lot of curious people, not necessarily comics fans, came in to have a nose around, so you got a great cross-section of people. A personal highlight for me was having a cheat with Joost Swarte when he came over and browsed my table. One of the downsides of manning a table is being unable to see any of the talks, and I’d been hoping to catch his, but this meant I still got to meet the great man! 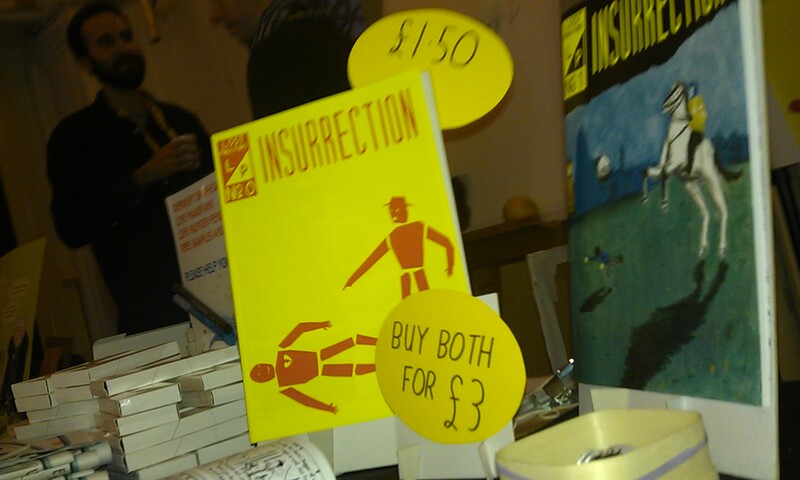 Secondly, Thought Bubble in Leeds. This was the second time I’ve done TB, I was there in 2012 – and it’s grown so much! I was alone manning my table this year so barely caught sliver of what I would have liked, but it was soo huge I don’t think I’d have been able to anyway. Great time though – perhaps too great a time at the convention party as my head was pounding the next day! 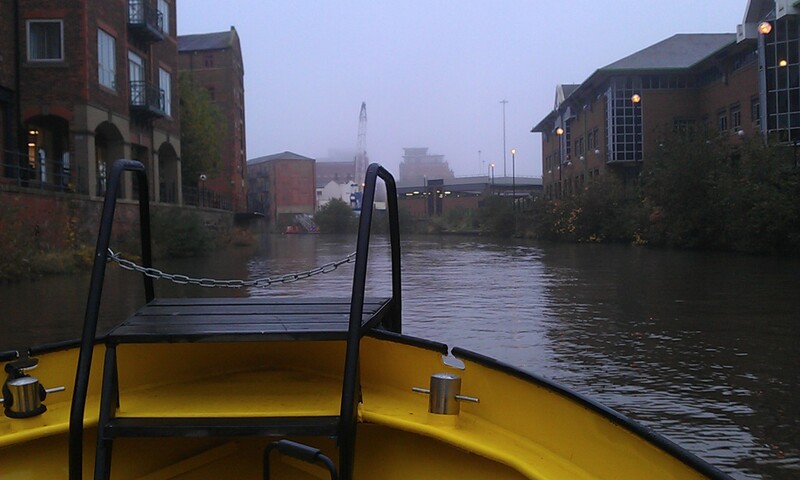 There are two festival highlights; the misty morning arrival by water taxi. And also catching the first night’s performance of The Wood Beneath the World at Leeds Town Hall. Written by my friend John Hunter (see his piece about his involvement here). It’s playing up until Christmas and is well worth a visit.